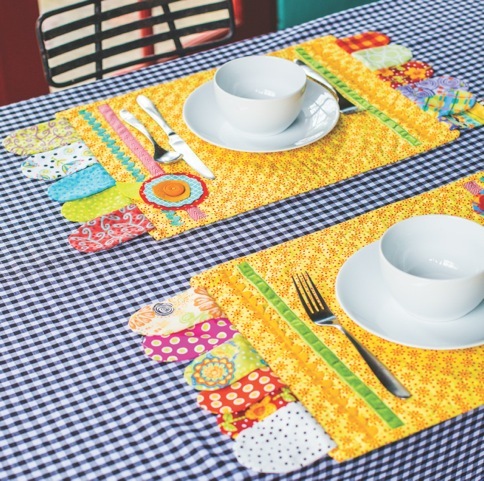 In this class students can make a set of four placemats to match their decor. These could be made in fall or holiday fabrics as well. Trims, buttons, and felts are additional supplies to be sold alongside of the fabrics. 1. Start by selecting fabrics and trims for the project. 2. Cut all of the flaps and mat fabric. 3. Finish one mat in class; students can continue to work on and maybe finish all of the mats. 4. Sewing the binding can be done at home. 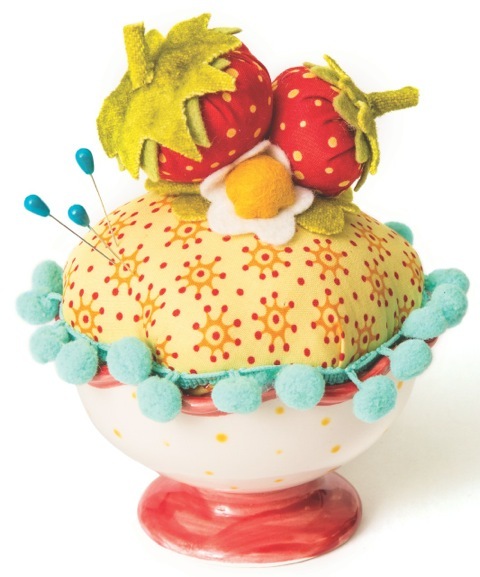 In this class everyone will take home a useful pincushion that adds some fun to their sewing room. This is an easy class that only requires hand stitching. Students will have the opportunity to use wool, felt, and trims to add to their cotton quilting fabrics to complete their pincushion. The best part is coming away with a finished pincushion and the knowledge to make more for all of their sewing friends. 1. Start with hand stitching the strawberries and flowers, picking trims and embellishments for the cushion. 2. Make and fill the cushion and glue into the bowl. 3. Hand stitch the sewn pieces on top.